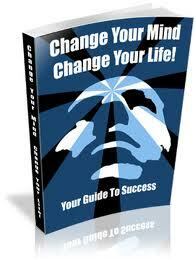 If you’re ready to get into shape and really change your life, the first place to start is within your own mind. Leading a healthy, active lifestyle often calls for taking a mind-over-matter approach. Working out, eating right and making good choices calls for positive thinking to reinforce the actions you know you need to take. When you explore your own thought processes and your “mind chatter,” you will likely find the key to unlock the positive lifestyle you’ve been dreaming of leading has always been there. The truth is that success is often born from a positive and healthy outlook to everything in life. When you examine your thoughts and the chatter that you “speak” to yourself on a daily basis, you are likely to find you are your own worst enemy. Open your eyes and your mind to the thoughts and really hear what you tell yourself. Learn to eliminate the negative inner-talk. Stop telling yourself you can’t and start saying you can. When you do, some amazing things are going to happen. • Spending a few days truly listening to yourself – Grab a notebook and a pen. Jot down the negative thoughts you have. Listen to what you say to yourself in your mind. Explore what you are saying and consider what triggers your own negative responses. Focus on what you can do…not what you can’t do…that will leave you with a lot to do…in a good way. • Learn to speak kinder to yourself – Positive affirmations aren’t just New Age mumbo jumbo. They can actually work. Learn to program your mind to believe in yourself. Set realistic goals and keep telling yourself you can attain them. Take that same notebook you used to record your thoughts and write down the positives about yourself. Focus on these positives that you know to be true and use them to build up your life in other aspects. • Enlist help – When you’re trying to change your mind so you can change your life, positive influences can go a very long way. Join a group exercise class, get with a personal trainer, ask family and friends to assist. Let them know your goals, what you are doing to reach them and how they can lend a hand by offering moral support. Having a cheering section rooting for you can build your self-esteem and it can give you the motivation you need to keep going even when the road ahead is tough. When it’s time to effect positive changes in your life, the place to start is within. Look into your mind and learn to reinforce the positives and throw out the negatives. You have the ability to make great changes in your life. You can do it! If you’re ready, you can reach Mr. Spongberg at (415) 322-7033 or visit his website at: PersonalTrainingInMarin.com where you can download your free copy of his special health and fitness report, The Truth About Losing Weight.